4) Generously sprinkle The Spice House French Countryside Seasoning and pepper on both sides. Place a pork chop on each plate. Divide tomatoes/onions/peppers amongst your plates. Spoon sauce over the pork chops. 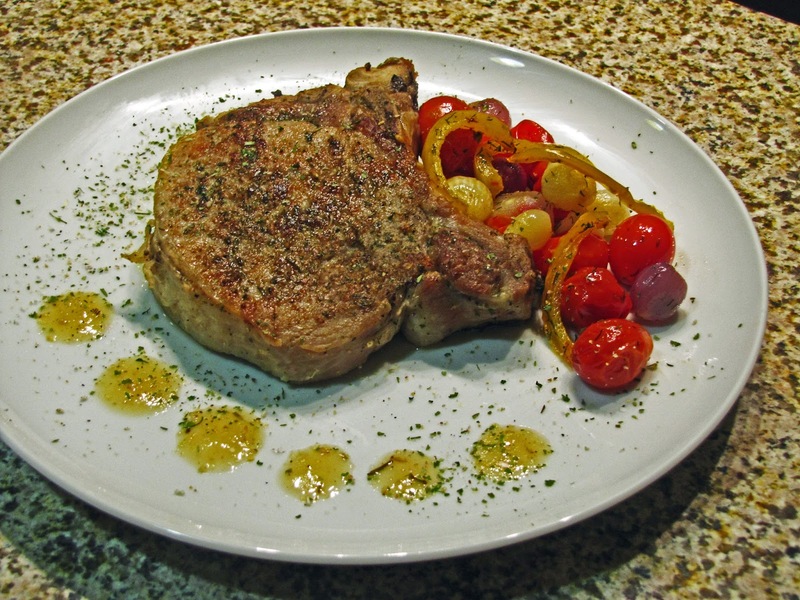 Lightly dust pork chops, tomato/onions/peppers and plates with The Spice House French Countryside Seasoning. Enjoy!